Japan has come to show strong favor for hydrogen fuel cells. In recent years, the country has been supporting the creation and purchase of fuel cell vehicles, but fuel cells can be used for much more than transportation. This fact has not been lost on the Japanese government, of course, as it has been making use of hydrogen fuel cells to provide residential energy for many years now. In 2015, Japan’s ENE-FARM, a massive stationary fuel cell power plant, reached a major milestone, installing some 120,000 residential fuel cell systems. Supporting fuel cells is part of the Japanese government’s overarching energy plan for the future. According to the Ministry of Economy, Technology, and Industry (METI), hydrogen is expected to play a major role in Japan in the years to come. A report released by METI in 2014 predicts that there will be more than 5 million fuel cell systems powering homes and businesses throughout the country by 2030. These energy systems will also be used to provide electrical power for the 2020 Olympic Games, which are being hosted in Tokyo. While Japan has shown faith in hydrogen fuel cells, there are still many challenges the country must face before these energy systems become a primary form of power. One of the greatest of these challenges has to do with the cost of fuel cell systems. These energy systems make use of rare and expensive materials, which make them quite costly. Building a hydrogen infrastructure is also somewhat expensive and the hydrogen production process is energy intensive, being heavily reliant on fossil-fuels. Japan may opt to focus its efforts on the ENE-FARM project. 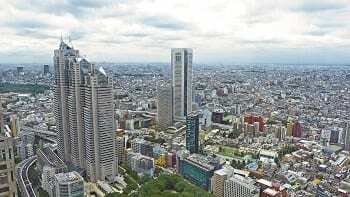 The Tokyo government is poised to spend more than $82 million on the expansion of the ENE-FARM. The large-scale system is likely to expose consumers to the capabilities of hydrogen fuel cells, highlighting how these energy systems can be used beyond the transportation space.